What Websand Triggers and Actions are Supported? Create or Update Subscriber - Creates or updates a subscriber record. Create or Update Transaction - Create or update a transaction. 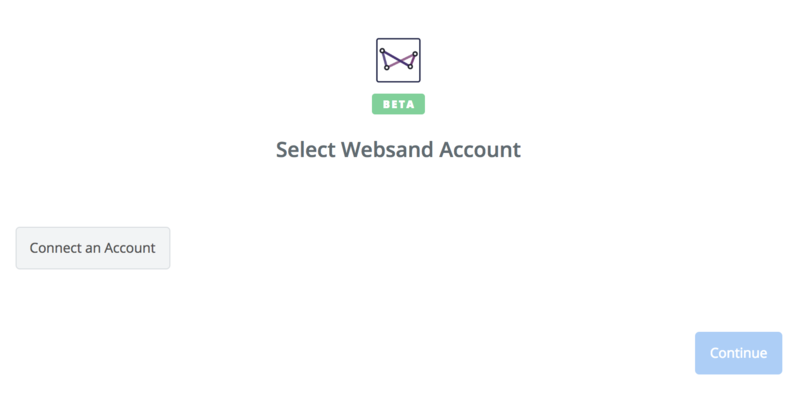 As part of this process, transactions will be updated to each subscriber record in Websand. If subscriber doesn't already exist in Websand they will be created. Suppress a Subscriber - Adds a specified Subscriber email address to the global suppression list. Create or Update a Booking Transaction - Creates or updates a booking transaction. This is designed for Hotel or Event based users. 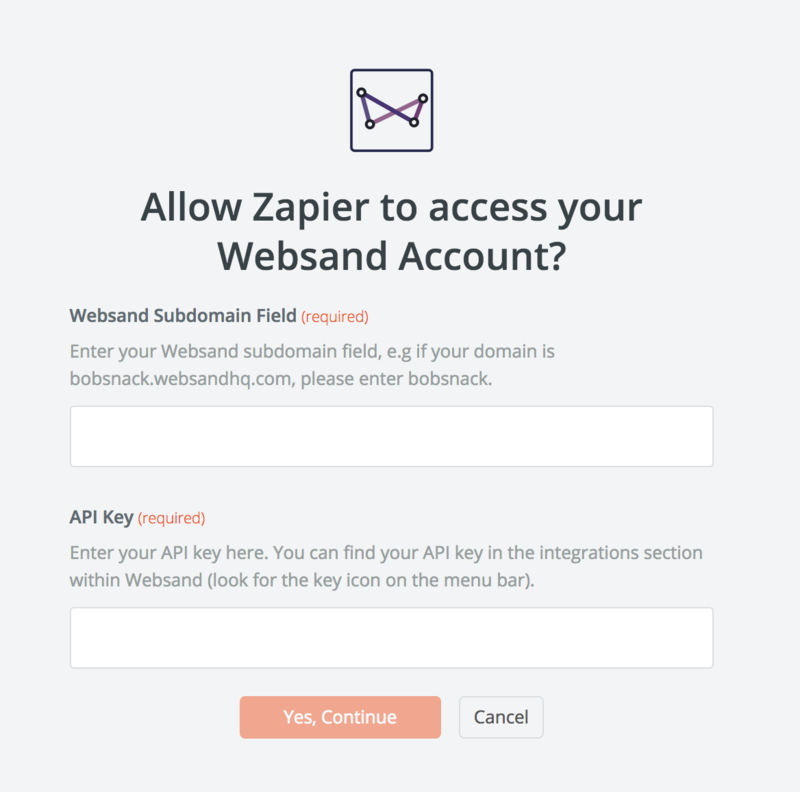 To get started with Websand on Zapier, first you will need to click to connect your Websand account to use with your Zap. 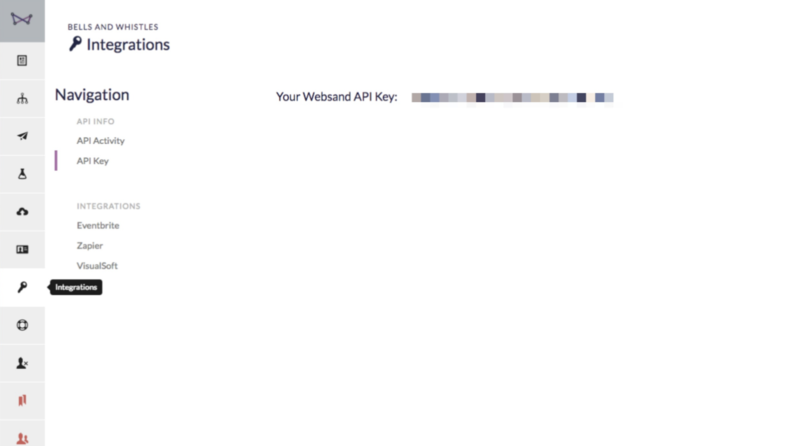 Next, you'll be asked to enter your Websand's API key. Paste your key back into your Zapier account and then “Continue”. 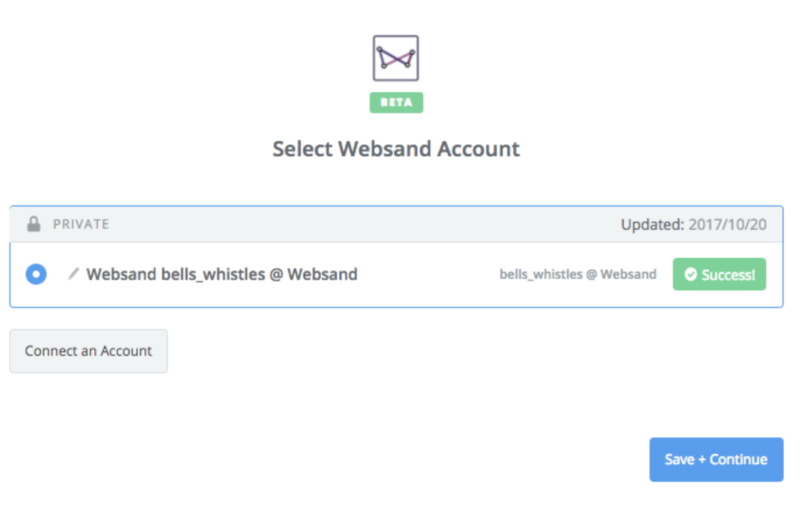 If your API key was entered correctly your Websand account will now be successfully connected.